Topaz’s LED Linear T5 series are the optimal plug and play solution for commercial applications, improving the quality of illumination while offering up to 40% energy savings over fluorescent sources. Ideally suited for school and office settings, Topaz T5 lamps with PET offer shatterproof coating are NSF rated to ensure occupant safety. 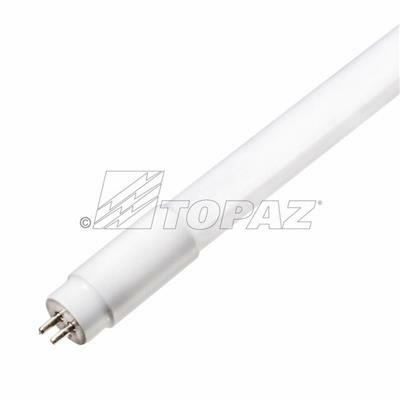 With a life rating of 50,000 hours, the frosted finish T5 tube provides a glare free, end to end 240 degree beam angle and is compatible with program rapid start T5 ballasts.